This might not work for the summer, but in the spring when the temperature is a bit cooler, open up your windows to let the breeze in. 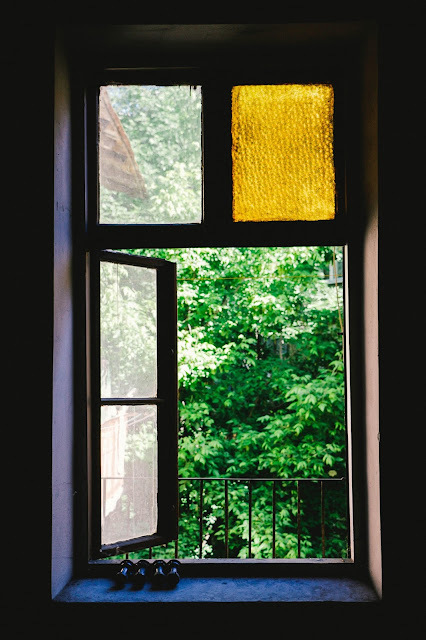 Opening the windows will allow you to reduce your electric costs, while still staying cool (especially in the evenings and nights), and it will also help release all of the old, stagnant winter air and switch it out for fresh air, which is so great for you! In fact, according to Huffington Post, getting fresh air can boost your immune system, and can bust stress and increase happiness. UHS Window Tinting and Blinds says, “If you have windows that you can open, do so only when it is cooler outside than in. But don’t just throw them all wide open. While that may seem like the way to get the most air movement, it often isn’t. Take advantage of the fact that hot air rises (think hot-air balloon), and create a natural draft by opening downstairs windows on the shady side of the house, and upstairs windows on the hot side of the house. Increase this natural flow by putting a portable window-mounted fan in the upstairs window. To get the best effect, experiment with how wide you open the windows; usually it takes only a few inches downstairs.” You can read more about it on their website! If you are going to keep your windows closed, consider window treatments. Blinds or curtains will help, but if you want to let the sun in (which I highly recommend), while preventing the hot and harmful UV rays from penetrating through the glass, I suggest getting window films put on your windows. Window films, or window tinting is a service provided by UHS Window Tinting and Blinds, based out of Alpharetta, Georgia. When UHS Window Tinting and Blinds installs 3M™ Window Films, they will help reject the sun’s heat while still preserving your view, they will complement and protect your decorative curtains and blinds, they will eliminate excessive heat, and they will increase the comfort of your home, as well. 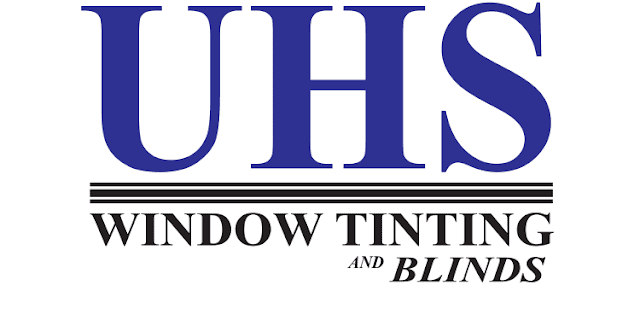 UHS Window Tinting and Blinds services the Metro-Atlanta area which includes Alpharetta, Johns Creek, Roswell, Buford, Smyrna, Marietta, Canton, and many other cities. When you have your AC running and your doors (or windows) open, this just allows the cool air to escape your home. When your home is cooler than the outdoors, please try to keep your doors shut as much as possible. I know it is hard when you have kids or animals running in and out over and over again, or if you have a party where people are constantly going in and out, but at least be more aware! Replacing air filters will help your AC unit work better and longer. Plus, you are not running dusty, or dirty air throughout your house, which is always a great thing for your lungs and your overall health. How often you should replace it differs from home to home. If your home is just a vacation home, where people do not occupy it frequently, every 6-12 months could be okay. An average home should have the air filters changed every 90 days, but it could speed it up if you have allergies or pets. Although this tip will not help you keep a cooler home, it will keep your electric bill down. When it comes down to it, summer is all about having fun and enjoying the weather. Take the time to really immerse yourself in the fun activities that summer (and Georgia) allow for in these warm summer days. As always keep it southern y'all!